Wolves are highly social animals that live in family groups called packs. At the top of the food chain, they have a very important role in the ecosystem. In the years since they were reintroduced to Yellowstone National Park and central Idaho, wolves have helped reduce an overpopulation of elk in the Park, and have kept elk from lingering undisturbed in Aspen groves and along streams. Biologists now believe this has led to the recovery of over-browsed trees and shrubs in these areas, which in turn, has helped birds, fish, beavers, moose and other wildlife find new places to call home. 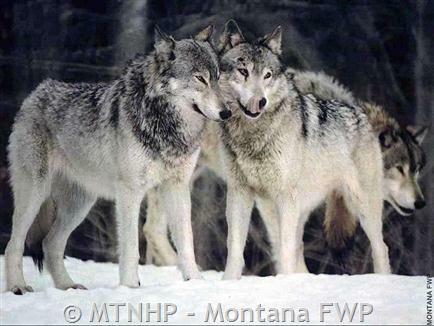 Gray wolves were deemed “recovered” in the N. Rockies and removed from federal protection in 2011. The restoration of this large carnivore has been one of the great success stories of the Endangered Species Act, and a remarkable example of wildlife restoration in America.